After update CEF doesn't load anything. I can also confirm that it's not working at all, using a cinema resource. Just blank pages. Is someone using XP or Vista here? CEF will no longer work on those operating systems for security reasons. ERROR:webgraphicscontext3d_command_buffer_impl.cc(218)] Failed to initialize command buffer. I discovered that in the background CEFLauncher.exe is silently crashing after connecting to a server. 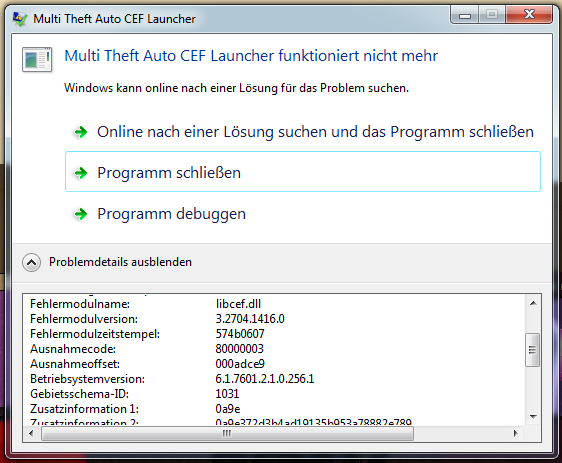 Maybe because the process crashes for some reason, CEF fails to render? With version v1.5.2-release-8064 CEF is working again, so I think, this can be closed.